The appeal of smoke-free apartments continues to grow. Currently, there are more tenants seeking smoke-free housing than there are nonsmoking units available to rent. 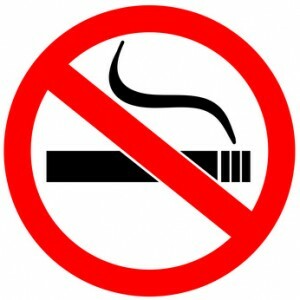 Studies, like one conducted by Smoke Free Washington have placed the no-smoking preference at over 90% of renters. That study shows that even a majority of smokers approve of smoke-free housing. At the same time, new research and information about the dangers of secondhand smoke is being widely publicized to consumers. Courts now routinely recognize secondhand smoke as a legitimate health concern. If a tenant does get sick from unwanted exposure in a rental property, the landlord could face legal liability. Jury awards for secondhand smoke injuries are growing larger. Claims that have been successful against landlords include nuisance, constructive eviction, violation of the implied covenant of quiet enjoyment, negligence, and violation of the implied warranty of habitability. Damages have included medical bills, loss of enjoyment of life, and rent abatement. Landlords should expect to receive an increasing number of complaints regarding secondhand smoke, and learn to deal with the issue effectively in order to limit liability and potential income loss. The most cost-effective approach is to take a tenant’s complaint seriously, and to search for a resolution early in the process — before the tenant seeks legal help. If a smoking ban is in effect, a complaint is easier to resolve. For instance, the lease may provide that if a tenant or a guest violates the ban, the landlord may offer one warning, and then move to evict if there is a second infraction. In cases where the landlord has not adopted a no-smoking ban, the situation is trickier. Arguing that the lease does not prevent secondhand smoke exposure does not relieve the landlord from liability if a tenant gets sick. The landlord will have to determine if a particular tenant’s smoking on the property is grounds for an eviction. If not, structural changes to the unit or building may have to be considered if secondhand smoke is impacting neighboring units. Avoid leaving tenants to deal with one another directly to resolve these problems. It is better for the landlord to mediate the dispute. Be aware that tenants who have or develop disabilities that are affected by secondhand smoke may be protected under fair housing and disability laws. That means the landlord could be liable for making reasonable accommodations, which could include ventilation upgrades or changes to policies regarding common area access. Failing to provide the appropriate accommodation can result in significant fines. If a resolution cannot be reached, the best practice may be to allow the victim to break the lease with no penalties. It can be helpful to know where most of your tenants stand on the issue of smoking. Conduct a survey or speak with tenants to get a sense of what smoking policy they’d like to see implemented. As with all tenant complaints, keep good documentation, just in case.